Shipping ABDL / Incontinence products to every Country in the World. Always in a discrete (neutral) packaging! If order has been paid on monday to friday before 13:45pm (CET), order will be shipped the same day. Orders can be shipped by us daily using PostNL, DHL, Fedex, DPD and GLS. We know how important discrete packaging is. That is why we take special care in packaging our orders with extra tape and cardboard. The address label does not contain any information about this webshop or related. From the outside of the box nobody will know what is inside. Phone numbers are included on address labels by default to increase chances of a successful delivery. please state your wish in one of the big text fields during checkout or afterwards by mail. Some couriers may try to deliver to your neighbors and leave a note when you are not at home. If you do not want that to happen, please leave the following message during checkout "do not deliver at neighbors". please include all neccesary information during checkout. Make sure to check your address in your order confirmation email. If there is something missing/wrong, please reply with the right address information. After an order has been shipped, we will send track and trace information (if available). Please note that shipments can be delayed by customs clearance. Applicable for NON EU Countries only. Shipping costs are calculated by weight, country and in some cases volume. Then go to shopping cart, select your order destination country and click on the "Get Quotes" button. Extremely fast and reliable courier, often at very compatitive prices. Shipping to your house address as usual or to a Fedex Pickup location. WARNING: you need to pickup the parcel within 7-14 days after delivery to parcelshop. everything ordered after 12am will be shipped the day after. 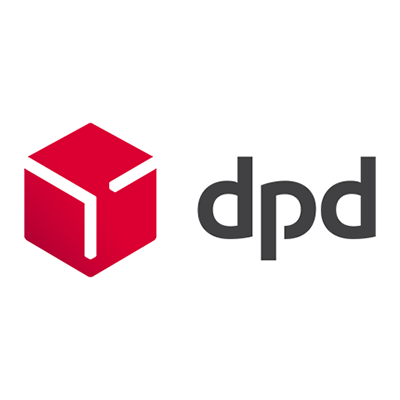 With DPD we can ship orders cheap, quickly and reliable to house address or DPD pickup location. Often the cheapest shipping option with multiple Delivery attempts to a specified House Address, PO Box or official Post Office. Where all other Couriers do the pickup and delivery mostly themselves, PostNL sends the parcel to your Countries Courier who will then do the delivery. After unsuccessful delivery attempt, your courier should leave a note with a near post office where the order can be picked up. Therefore it is always important to keep track of the tracking info we provide after your order is shipped. After unseccesful delivery the order will remain 7-14 days at a local post office, then will be returned to sender. Customer will be notified when an order has come back. For more information, please look at the PostNL website. Please keep in mind that shipments can be delayed by customs clearance. Should be only applicable to countries outside of Europe. please provide all necessary information during checkout or if necessary via email. Check the address with your order confirmation e-mail. If something needs to be changed, please reply by email with the correct information. It's a Dutch file but all necessary information should be readable. Quick, cheap and reliable courier for shipping to house addresses in Europe. We might be able to ship to some other countries DHL pickup locations, Please check you local DHL site to be sure. 2-4 days for pretty much all other EU countries. Great cheap solution for small volume orders shipped to House Address or Pickup Location, with large volumes they get expensive. Shipping can only be sent to House Address within the Netherlands at first, other participating countries can enter a GLS pickup location address on step 2-5 during checkout. After receiving the tracking info which usually happens before 5pm, you can still change the delivery address to GLS pickup location or different houseaddress until 11:59pm. Changing the address can only be done during this 7 hour window and is only possible on GLS website with provided tracking info.